I was very surprised the other day when Dani asked me to do Yoga. Usually, when we do yoga, she quickly gets tired of it and starts fussing around. This time, she took her mat and the Yoga Pretzels cards and really got into it. I was busy in the kitchen, so I didn’t join her. I just helped her a little with some of the postures. Here are some pictures of Dani in some of the poses. … and just getting into the Child’s pose. 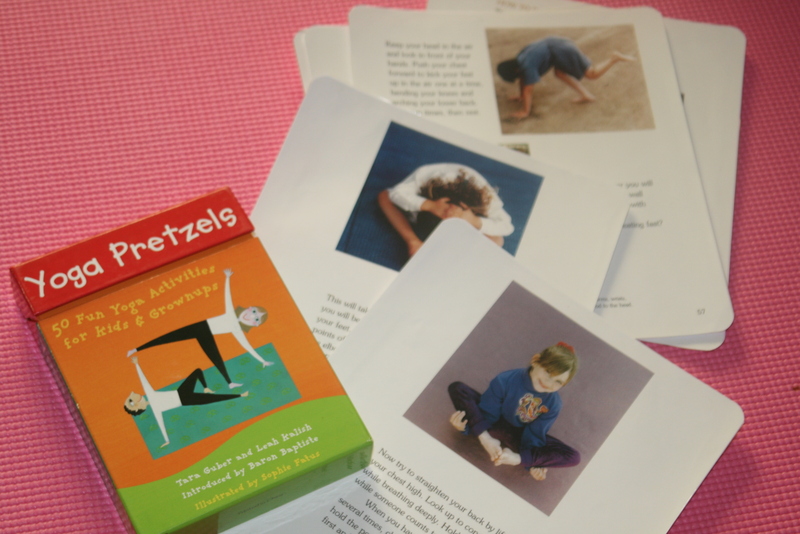 In addition to using the Yoga Pretzels cards we use cards I made from the Children’s book of yoga. The postures in this book are very easy, even for young children. It includes pictures of children doing each pose, and pictures of the animals and other natural elements that the poses are based on.